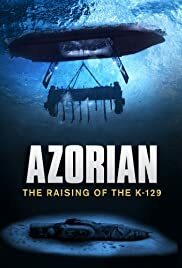 Azorian: The Raising of the K-129. In March 1968 the Soviet ballistic missile submarine K-129 carrying three of the most modern submarine-launched missiles then in the Soviet inventory, each with a one-megaton thermo-nuclear warhead, sank with the tragic loss of its 98 officers and crew in the dark abyss of the Central North Pacific. Its whereabouts remained unknown to the Soviets for over six years but the U.S. Air Forces AFTAC had located it within weeks of its demise. For U.S. Intelligence, here lay a cornucopia of Soviet naval missile technology and a potential intelligence coup of the highest magnitude! Video Title: Azorian: The Raising of the K-129. Source: stat faux. Date Published: July 19, 2016.